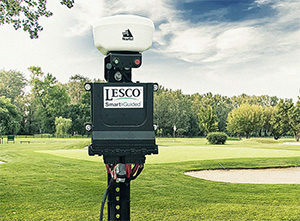 SiteOne Landscape Supply released its new LESCO Smart Guided precision spray system, a GPS-guided system. Designed for turf spaces where a commercial spreader would be used—such as large estates, municipalities and public areas—the Smart Guided System can connect with most common sprayers. According SiteOne, the unit can save up to 75 percent of initial costs compared to buying a new sprayer unit with a built-in GPS. TerraStar GPS satellite technology that allows the system to spray within a 2-inch level of accuracy. Tracking of when and where certain products are sprayed to simplify documentation and record keeping, enabling the system to remember and repeat boundaries after they have been driven once and saved.